In this guide you will learn how to draw and print QR Code barcodes on high quality photos or images in an ASP.NET website. NOTE: Although this guide takes QR Code barcode as a sample, you can use ANY of the linear, postal & 2D barcodes supported by Barcode Professional for ASP.NET product. For example, you could change this guide to print Code 39, Code 128, EAN-13, UPC-A, GS1 DataMatrix, GS1-128, GS1 DataBar, Data Matrix, PDF417, etc. Suppose you have a client which is a professional photographer. He wants you design a website where he can show his work to the world. He also wants to offer to the website visitors to print out a sample photo but with some kind of symbol, watermark or info so his photo or website would be reached by any other person who like it. QR Code barcodes are commonly used today for tagging things like postcards, business cards, brochures, etc; and any person using a mobile device with a barcode reader software can scan those barcodes for further info. Usually, an URL is encoded into the QR Code so when scanned, the user’s mobile browser is redirected to such location. Other info or formats like VCard, MeCard, SMS, etc. are also used with QR Code barcodes. Correctly display the generated image (i.e. 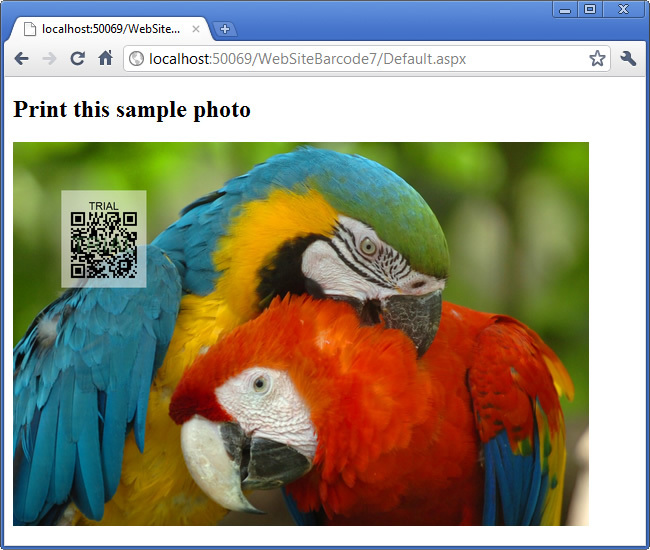 the source photo with the embedded QR Code barcode) on an ASP.NET page so the user can print it to its local printer at high quality resolution. Open Visual Studio 2008/2010 and create a new ASP.NET website. 'draw the QR Code barcode onto the image at x=0.5in & y=0.5in!!!
' Get an ImageCodecInfo object that represents the JPEG codec.
' for the Quality parameter category.
' Create an EncoderParameters object.
' EncoderParameter object in the array. //draw the QR Code barcode onto the image at x=0.5in & y=0.5in!!! // Get an ImageCodecInfo object that represents the JPEG codec. // for the Quality parameter category. // Create an EncoderParameters object. // EncoderParameter object in the array. The above HTTP Handler generates the output high quality image when invoking it. Remember that the original photo and the generated by that handler is 1800 x 1200 px at 300 dpi. 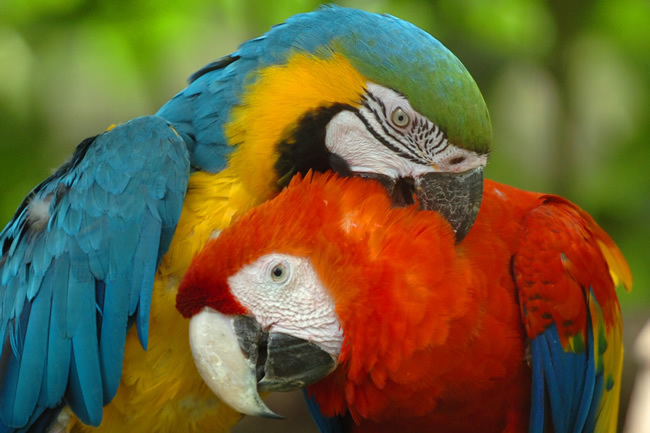 To correctly display it on a webpage and still print it at high resolution on the user's local printer, the image must be set up on a simple IMG HTML tag but scale down its size to 96 dpi (which is the most common resolution on screen). So at 96 dpi, that image must be forced to be displayed with this size: 576px (6in * 96) width x 384px (4in * 96) height. In this way, the image will be displayed with a correct size for screen and when printing from the browser, the source image size (1800x1200) and dpi (300) will be taken into account getting high quality printing output. Here are the source and the generated photo with the QR Code dynamically generated by Neodynamic Barcode Professional for ASP.NET product.